Admiring the majestic Galleria Umberto I one might find it hard to believe that it was built in just three years. Work began 1887 and was completed in 1890. Thanks to its proximity to the most important places of the city the Gallery soon became the hot spot of "mundane" Naples. It was designed by Emanuele Rocco, who employed modern architectural elements reminiscent of the Galleria Vittorio Emanuele II in Milan. View the very interesting video below . 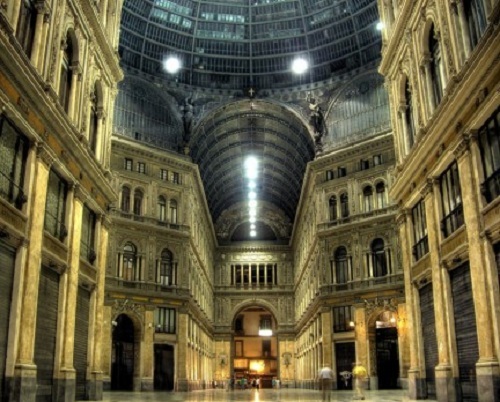 The Galleria was named after Umberto I, King of Italy at the time of construction. It was meant to combine businesses, shops, cafes and social life, public space and private space in the apartments on the third floor. "Gallery-goers" were usually aspiring artists, actors,singers and musicians in search of workt, always congregating near Salone Margherita. 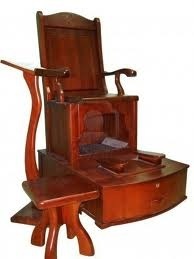 For well over 50 years the Galleria was the Sciuscià's (Shoeshine) kingdom. Having the shoes shined at the Galleria was a ritual and part of the habits of the city's "high society". The last of the Sciuscià closed their business a few years ago. 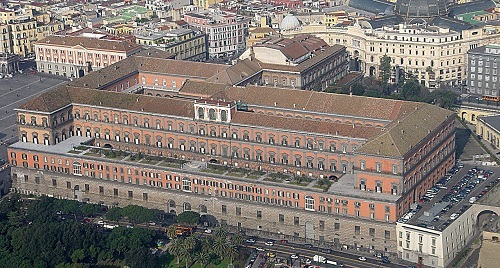 Nearby is the Palazzo Reale (Royal Place) one of the four royal residences in and around Naples used by the Bourbon Kings during their rule of the Kingdom of Two Sicilies (1730-1860): the others were the palaces of Caserta, Capodimonte overlooking Naples, and the third Portici, on the slopes of Vesuvius. Construction began in 17th century by architect Domenico Fontana. By 1616, the facade had been completed, the interior was frescoed by Battistello Caracciolo, Giovanni Balducci and Belisario Corenzio. The decoration of the Royal Chapel of Assumption was completed in 1644 by Antonio Picchiatti. 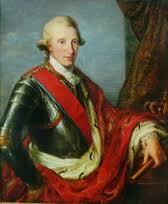 Further modernization took place under Ferdinand I of the Two Sicilies. By the 18th century, the royal residence was moved to Caserta, as that inland town was more defensible from naval assault, as well as more distant from the often-rebellious populace of Naples. During the Napoleonic occupation was enriched by Joachim Murat and his wife, Caroline Bonaparte, with Neoclassic decorations and furnishings. The bombing incurred during World War II and the subsequent military occupation of the building caused serious damage. Today, the palace and adjacent grounds house the famous Teatro San Carlo, the smaller Teatrino di Corte (recently restored), the Biblioteca nazionale Vittorio Emanuele III, a museum, and offices, including those of the regional tourist board. The statues : Following the unification of Italy in 1888, King Umberto I of Savoy made changes to the western façade side of the building (fronting on Piazza del Plebiscito) displaying in niches a series of statues of prominent rulers. The statues are displayed in chronological order with respect to the dynasty of belonging that has reigned in the city and this starts with Roger the Norman, when the city was an independent state (sculpted by Emilio Franceschi), and end with Vittorio Emanuele II, the largest in height and added last under the will of the king himself (sculpted by Francis Jerace). The other statues are Frederick II Hohenstaufen (by Emanuele Caggiano), Charles I of Anjou (sculpted by Tommaso Solari), Alfonse of Aragon (sculpted by Achille D'Orsi), Emperor Emperor Charles V (sculpted by Vincenzo Groan), Charles III of Spain (sculpted by Raffaele Belliazzi), and Murat (sculpted by Giovanni Battista Amendola).and finally Joachim Murat the French General. None of the statues refers to the Spanish Bourbon dynasty which elevated the southern kingdom to splendors unheard of. The Galleria Umberto I is located in the center of Naples and it is therefore a necessary step along all the itineraries of the city. Those arriving from the Central train Station will take the bus R2 and get off at San Carlo. Those arriving from Capodichino airport must take the Alibus to Piazza Municipio. The nearest subway is the Montesanto station.